Tags: Vive la France! 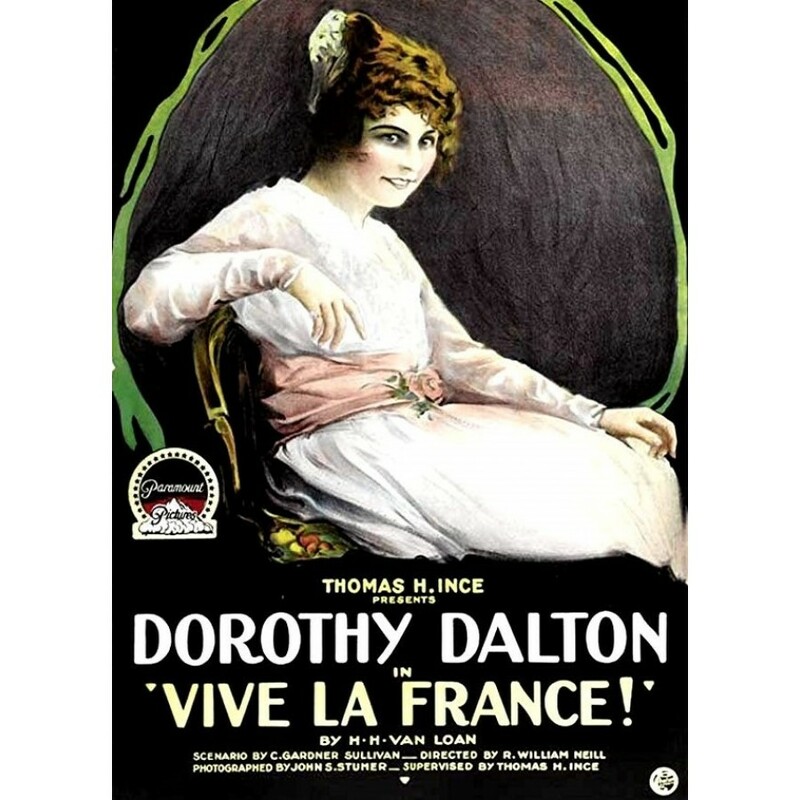 WWI world war the great war "The Cross of Shame"
Upon hearing that her parents have been killed in the war, actress Genevieve Bouchette returns to her native village of Deschon, France, and engages in Red Cross work. The Germans capture the town, and when Genevieve refuses to submit to the amorous demands of one of the soldiers, he orders her branded with the "cross of shame." Her sweetheart, Jean Picard, now a volunteer in the French army, is seriously wounded while attempting to deliver important orders to Col. Bouchier, and Genevieve saves his life by telling his pursuers that he is dead. After delivering the papers herself, Genevieve visits her lover in the hospital, but he fails to recognize her, having lost his memory through shell shock. When Jean sees the cross of shame of Genevieve's breast, however, his memory returns, and the two pledge their troth.